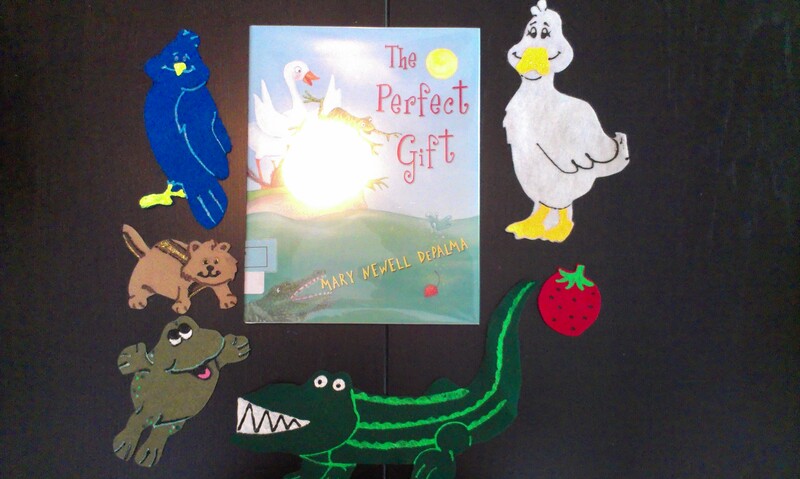 Mary Newell Depalma’s The Perfect Gift emphasizes friendship. It’s a sweet story of friends pitching in and helping when needed the most. I like this story so much, I read the picture book, use flannel pieces to storytell, and recently added this to my puppet repertoire! What’s your favorite story of friendship? For more storytime ideas check out Storytimes and More On the Go. This entry was posted on January 11, 2014 by mrsshaia in Flannel Stories, Puppet Stories, Video Clips and tagged Flannel Stories, Puppet stories, Video clips.